Designtex and Coalesse Design Studios have together produced Designtex + Coalesse, a collection of nine patterned textiles that celebrate and evoke the synergy of cross-disciplinary collaboration between the two brands. 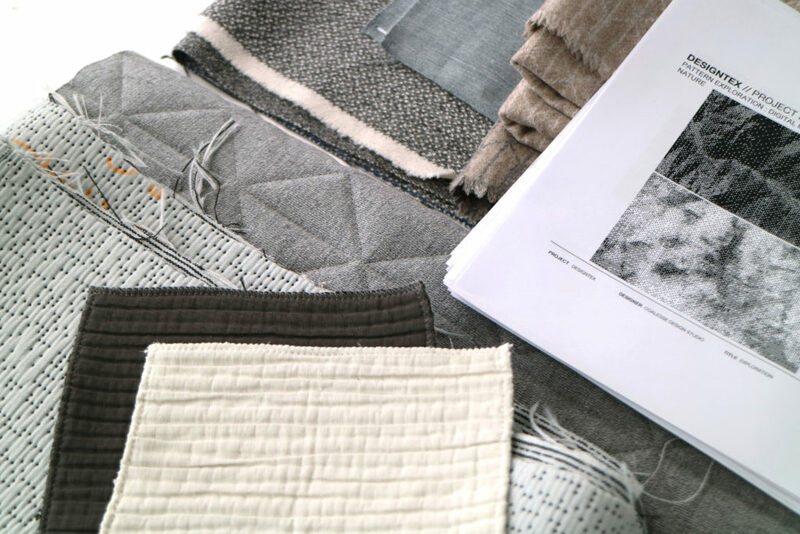 The partnership embraced unique insights across textile and furniture design to create a collection tailored for upholstery applications. 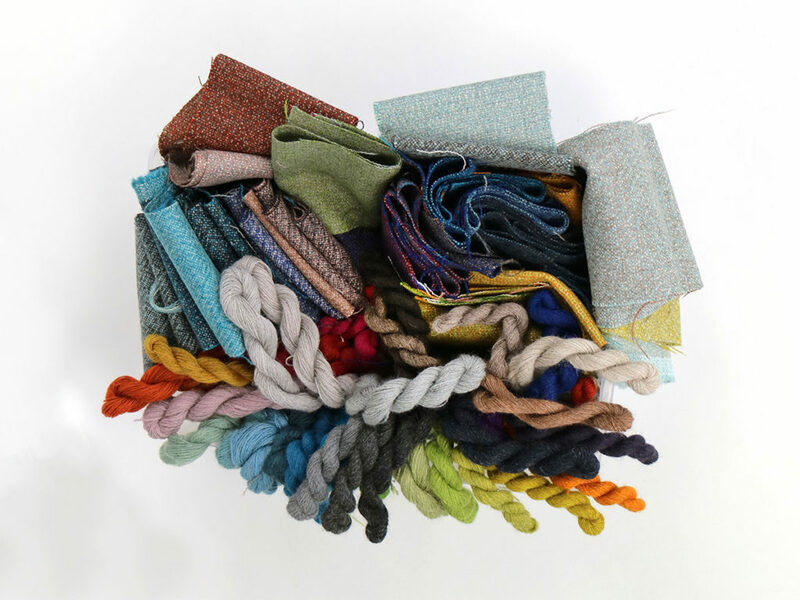 Utilizing the expertise of small specialty mills, the resulting designs delve deep into a nuanced exploration of color, geometry and the tactility of fine fibers. This collection offers designs made using small-batch techniques by specialty weavers at a level of commercial scale and performance. Manufactured with care by master craftspeople whose expertise has been cultivated and honed from generations-old traditions, Designtex + Coalesse brings high-quality, crafted products to the contract market without sacrificing time-efficiency, service and performance. Designed to be used with a wide range of furniture pieces, the Designtex + Coalesse collection pairs especially well on Coalesse offerings: The development and test application of each Designtex upholstery material was conducted in tandem with the company’s furniture. The highly dimensional, quilted texture of Burrard lends to a natural pairing with the crisp-cotton surface of the Burrard Ground Cloth option, a soft, slightly heathered textile made of pre-consumer recycled yarns, paired with nylon for extra strength. 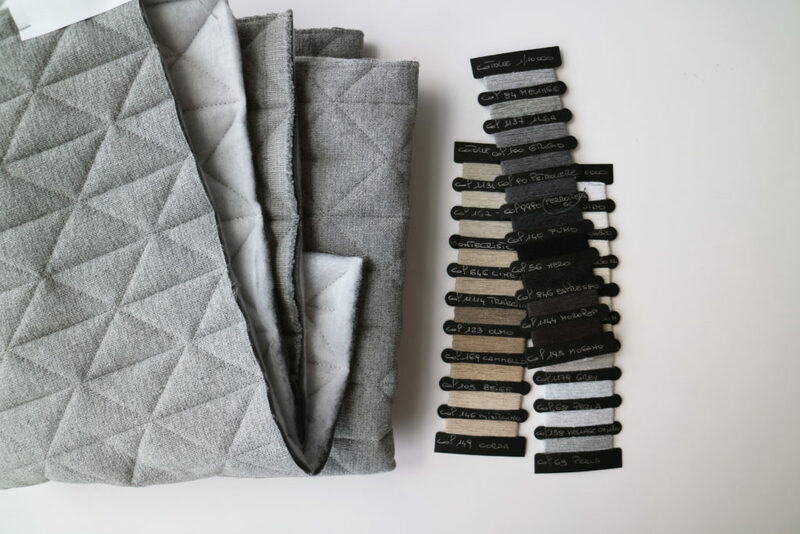 Bixby, a duo available in Micro and Macro versions, interprets the geometry of the Burrard pattern in finely milled Italian wool, with a play on scale that again encourages designers to toggle back and forth between opposites in a harmonic way. A luxurious blend of wool and linen, Willis channels sartorial sophistication, evoking the feel of a fine linen suit. Mateo features a dimensional-weave structure and Designtex’s own close-loop yarn, in a subtle exploration of subdued pattern. 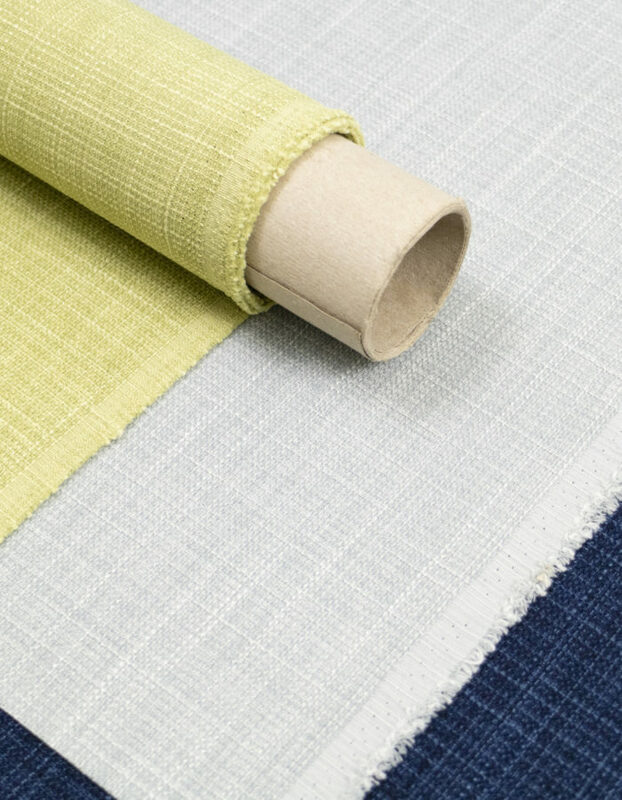 Throughout, the choice of content and fibers used were as carefully considered as the weaving manufacturer, and all products in the Designtex + Coalesse collection meet or exceed ACT contract standards. From Designtex’s own closed loop yarn, to the finely milled wool and linen, and pre-consumer recycled cotton recovered from T-shirt manufacturing—each material was specially sourced and selected to imbue an extra layer of richness, nuance and ecological responsibility into the final designs.